The Lubavitcher Rebbe, Rabbi Y. Y. Schneerson, emphasized the unique merit of Jewish women, stressing that each one is the pillar of the nuclear unit of the home, and thus of society at large. The Torah teaches that women have a unique ability to affect the world, due to their sensitivity, leadership qualities, and kindness. The future of the Jewish people depends on their success. In the Jewish Women's Circle, Rebbetzin Sorah Shemtov offers women’s programs that are intellectual, relevant, and empowering. 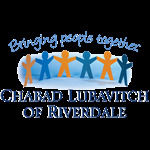 Throughout the summer months, Rebbetzin Sorah Shemtov teaches Ethics of the Fathers each Shabbat (except for the weeks preceding Rosh Chodesh) at Chabad at 6:30 pm. For more information, please call our office at 718-549-1100 Ext. 10.